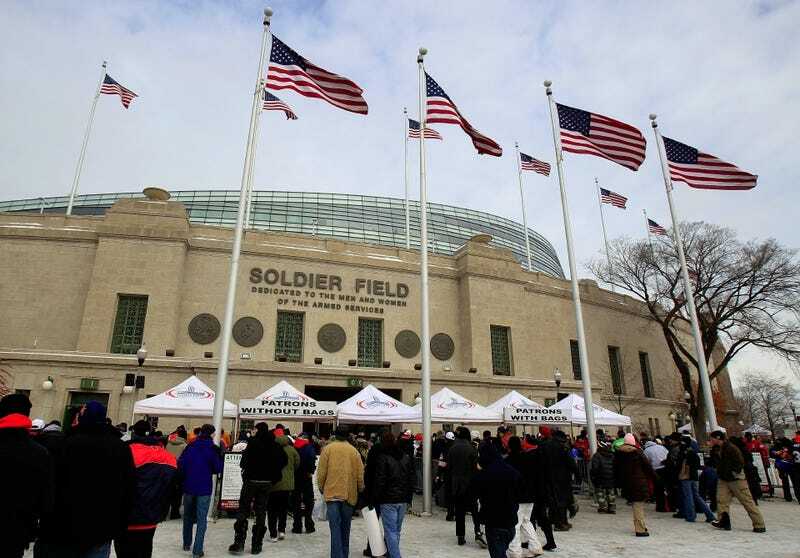 Soldier Field, one of the more storied venues of the National Football League, has never appeared in the Madden NFL series, or any other NFL series. It's always been a generic venue under the name "Chicago Stadium," or "Chicago Field." That's because the Chicago Park District has never licensed the name for use. Apparently they finally were offered acceptable terms. Phil Frazier, a senior producer on Madden NFL, Tweeted on Thursday that "it is very likely we'll have the real Soldier Field in the game this year!" Frazier said the team at EA Sports Tiburon must now build the field. Presumably, that would include an exterior shot of its iconic colonnade. Who knows why the Chicago Park District came around; a tougher economy may have made them finally accept whatever EA Sports was offering for the rights.